68 teams. Single elimination. Top seeds pitted against underdogs. Anything can happen, as teams take on the odds for a chance at greatness. In the game of basketball and with the gamble of a startup, teams pour their heart and soul into winning and advancing as time counts down, be it toward the final buzzer or toward new funding and the prospect of IPO. The parallels between basketball and the tech startup community are many. Competition is fierce. Teamwork is essential. Stakes are high. “Seasons” can be cut short by unlikely competition. When it comes to the game changers – the great plays, buzzer shots, unexpected injuries – take them in stride. In a split second, new developments can alter strategies. The best athletes and tech visionaries are those who are quick on their feet. In tech and in basketball – especially the NCAA – individual players are only as good as the teammates surrounding them. They rely on others to be responsive to the unknown and the unanticipated, rolling with plays and making decisions to defend, block, create opportunities, and score. Whatever it is – adrenaline, motivation, sportsmanship, skill – those who keep their head and their heart in the game regardless of the scoreboard will have a good shot at staying around long enough to enjoy the big wins and bounce back from the setbacks. 1) Anticipate opponents' moves. In business and in sports, knowing your competition means you can train to match their strengths and, equally, exploit their vulnerabilities. The deeper your knowledge of an opponent, the better you can strategize, identify talent gaps, and capitalize on opportunities exposed through the cracks. 2) Play into your teammates' strengths. What is your team best at? If you have an ace shooter that can run clinics from the three-point line, you know you’ll have to put in the extra work to defend their skills and open up opportunities for them to continue taking those shots. This will help lead a team straight into victory. 3) Get your head in the game. Sometimes, just visualizing a win can be the best preparation. What would a win look like? Who is involved? What moves are made? Clearing out distractions and creating step-by-step plays beforehand can go a long way toward getting mentally prepared for a strong, consistent performance. 4) Look ahead. Think of a recent fast-paced game of basketball that made you pause and think, “Wow, that team’s got talent.” Hands down a big part of your positive impression can be credited to smart moves, lined up in sequence as if automated. Rhythmic passes keep the ball moving, and the best players are already a few steps ahead of the ball. Advancing down the court requires looking ahead. Similarly, business success requires advance planning and foreseeing roadblocks that might affect your lane as you head toward the hoop. 5) Take the right risks. Risks are important for start-ups and athletes alike, but they should be carefully calculated. Take them at the right moments with the right team on the court. Does it make sense to go for a three-pointer or go in for a lay-up? At what point does the strategy become a foul game? Talent, preparation, and knowing the context leads to more strategic risk-taking. 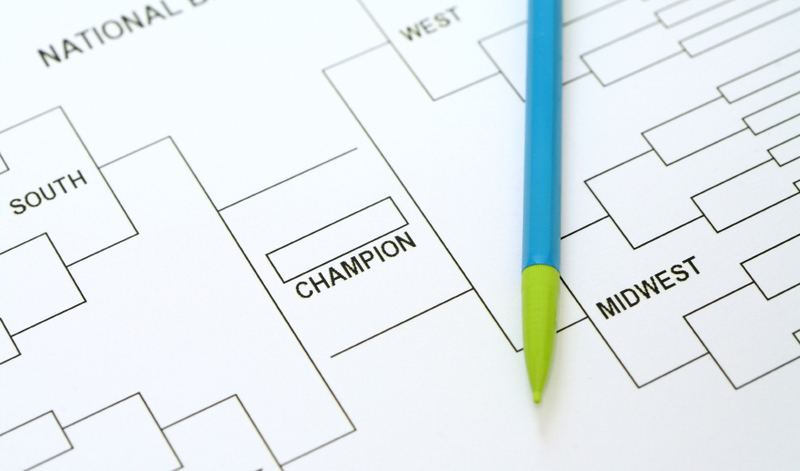 With the Tech Madness competition underway, we’re looking forward to some friendly competition with the Boston tech community as the second seed in the Social Network Conference. Think Fuze has what it takes to go the distance? Vote for us by 4 pm today to keep us in the running. Here’s to embracing the competition. Best of luck with your brackets!